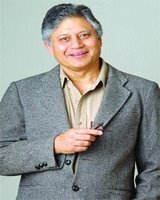 Shiv Khera 23 August 1961 Indian Author, Motivational Speaker Founder of Qualified Learning Systems USA. An Author, Educator, Business Consultant and a successful Entrepreneur. He is the author of 14 books including the international bestseller 'You can Win', which has sold over 3.3 million copies in 21 languages. A list of popular Hindi Shiv Khera quotes are given below.